Suva’s Taniela Naqali during team gym session on July 10, 2018. Photo: Ronald Kumar. Suva Rugby spokesperson Peceli Derenalagi said the side will be out to up the momentum against the defending champions. Despite losing one out of eight, Derenalagi said the game against the Stallions would be different ball game. “First we need to do it right and play simple rugby this weekend,” Derenalagi said. ‘The Stallions have been used to playing in big games in the past since they are the top provincial rugby side. “The composition of the Suva team comprised players from various provinces in Fiji and they are proud to fly the Noqu Suva flag with pride. “We have a young team and they all worked extremely hard to reach the final. Derenalagi said the coaching staff led by Jope Tuikabe had been doing the hard yards to get it right at training. 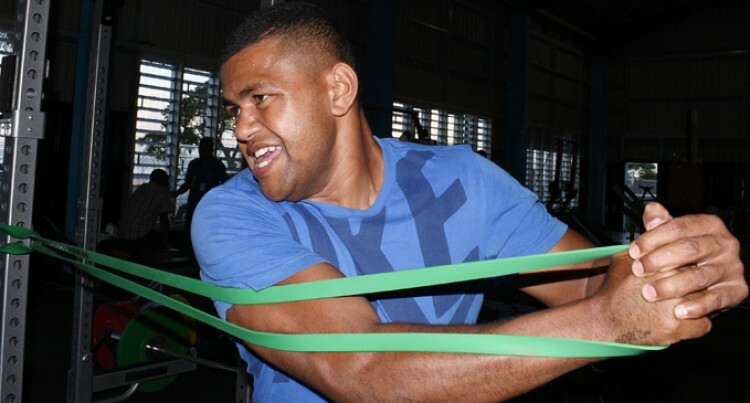 “Nadroga is the favourite and the team to beat but our aim is to stop the Stallions from winning in the capital city. 11.30am Suva-Malolo (women); 1pm Nadi-Namosi (U20); 3pm Suva-Nadroga.